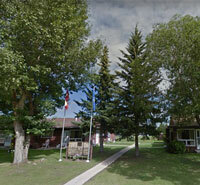 Cedar Manor, Golden Valley Villa and Sunrise Villa share a spacious block with Bar-V-Nook Manor in the town of Smoky Lake, Alberta. 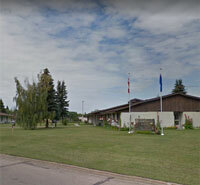 Built in the late 1970 and early 80s, each of the three independent living seniors’ residences contains eight self-contained one-bedroom suites, for a total of 24 suites. Each suite has its own private entrance, appliances, storage, and gardens, all within easy walking distance of the amenities of the town centre. Residents are encouraged to join in social activities at Bar-V-Nook Manor, and may, for a fee, take meals in the dining room or have them delivered to their suite. 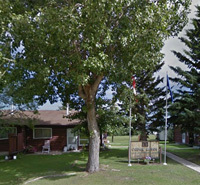 Smoky Lake Foundation provides accommodation in Cedar Manor, Golden Valley Villa and Sunrise Villa based on priority of need determined by the Alberta Seniors’ Self-contained Housing Program for low and moderate-income seniors who are functionally independent.